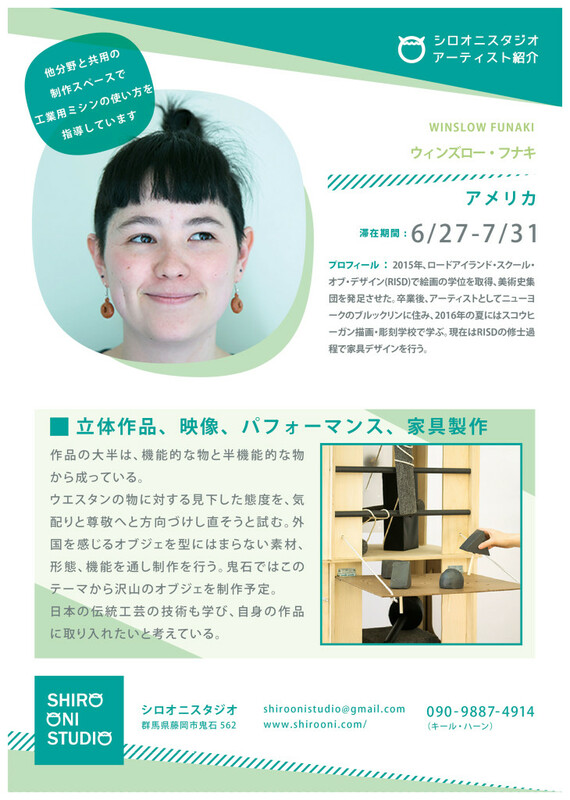 E. Winslow Funaki received a BFA in painting from the Rhode Island School of Design (RISD) in 2015 where she also completed a concentration in art history. After school she lived in Brooklyn, New York as an independent artist and attended Skowhegan School of Painting and Sculpture during the summer of 2016. She is currently an MFA candidate in furniture design at RISD.